A hot water storage tank is a water tank used for storing hot water for space heating or domestic ... An efficiently insulated tank can retain stored heat for days, reducing fuel costs. Hot water tanks may .... However, if the leak is coming from in or around the pipes or taps on the storage tank, then repair is economically feasible. Service Location: Anywhere in India. But GST & Fright will be extra as actual. Number of Tanks: Minimum of 2 tanks. Aditya Ener-Guard Insulation a Division of Aditya Marketing is overwhelmed to introduce itself as the trend setting pioneer in rendering trustworthy and top notch Insulation services and materials to its vendees. 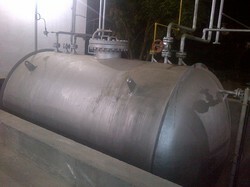 We are offering CO2 Storage Tank Insulation. Our company is master in providing Tank Insulation Service. 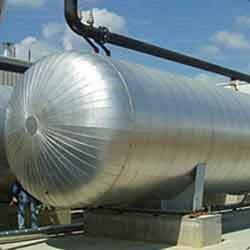 By using advanced technology, we are involved in providing Tank Insulation Service.